Preschool Storytime: Back to School! School begins in just two weeks! To help all of the story time kids prepare for kindergarten, a back to school storytime was on the menu this week. With just a few schools in our small town and vicinity, I was able to share little details about most of the great kindergarten teachers in our area as kids shared which school they were going to attend. These little connections always help on the first day of school! To get warmed up, we sang the ABC Song using shakers. 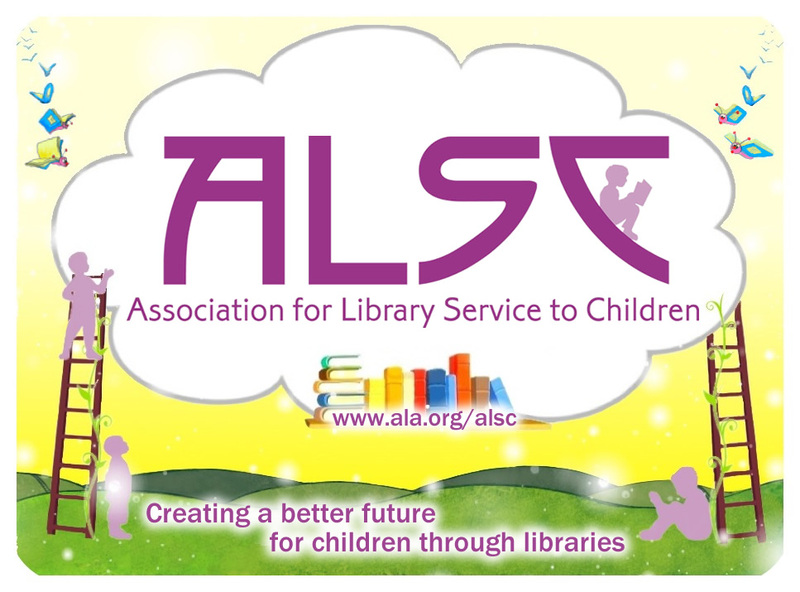 Then we played the Name game which I read in a comment about a Back to School Storytime post on the ALSC Blog. We all stood in a circle and each of us took a turn saying our name and performing a unique movement. The rest of us all do the movement together. With a little help from each other we made it around the circle and did quite a dance. Even with lots of regular faces, we all learned some new names while coming up with some silly movements. It offers a great opportunity for early morning stretching! 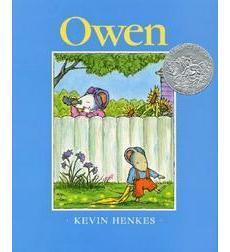 Owen by Kevin Henkes (Greenwillow Books, 1993) was the first story we read. I absolutely love this book, and almost everything Kevin Henkes has written. I’m particularly fond of this one because it is my son’s namesake and it was given to him at birth by a lifelong friend of mine. I also love the gentle flow of the story, with hints of mischief, and bits of repeated text. Owen is the story of a young mouse getting ready to start school. He is very attached to a blanket which he carries with him everyday, but is “encouraged” by a neighbor (via his parents) to get rid of it before starting school. After trying all of the neighbor’s suggestions to get Owen to part with the blanket, unsuccessfully, they finally come up with a creative, loving solution that works for everyone. 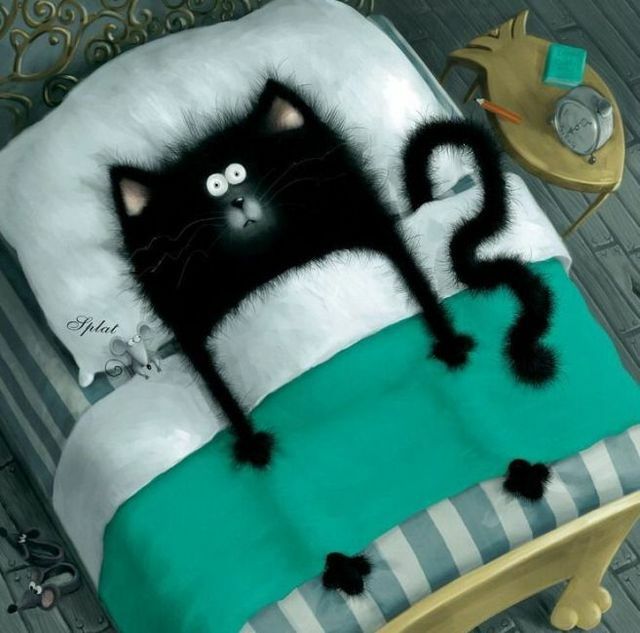 There are a couple of back to school Splat the Cat books by Rob Scotton, but I stuck with the original, Splat the Cat (Harper Collins, 2008). In it, Splat is reluctant to start school and the first few pages feature Splat’s humorous attempts to avoid school. He finally agrees to go, with his mouse friend in his lunchbox. Once at school, he learns that cats and mice aren’t supposed to be friends, much to his surprise. In the end, the mouse saves the day and all of the cats learn to love mice. This book is a perfect fit for storytime. What storytime would be complete without a rendition of the Wheels on the Bus? We sang several school bus related verses before moving on to a favorite book. Don’t Let the Pigeon Drive the Bus by Mo Willems (Hyperion Books, 2003) is not a school related read, but all ofMo Willems’ books are not only sharable in storytime, but epitomize the idea of an interactive picture book. The spirited responses to Pigeon’s questions throughout the story easily demonstrate the power of good storytelling to engage even the youngest reader. Instead of a craft activity, we rode a school bus today! The local school bus company donated a bus and driver to take our storytime group on a drive to one of the local elementary schools. Most of the kids loved the experience, but one or two kids who were not quite ready for the experience, shall we say, and their caregivers did stay behind at the library. We sang, asked questions, and practiced getting on and off the bus. 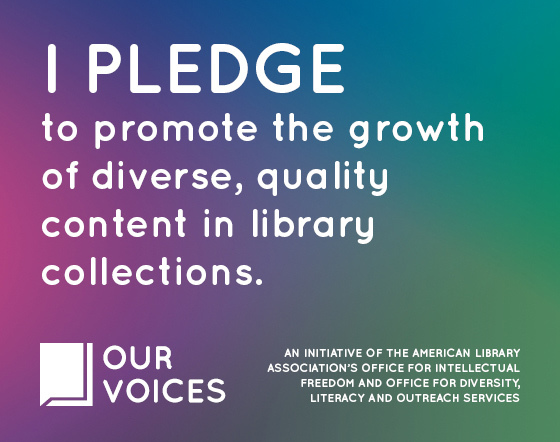 What was the most important question we asked? Would the driver let a pigeon drive the bus? No! Note: The bus was late! The dispatcher had forgotten today was the day. As the clock ticked and no bus driver arrived, I started to wonder. I had a coworker call the company who sent the driver right over. The lesson? Always have an extra book on hand, some stories memorized, or some songs/games to play to keep families from losing interest.